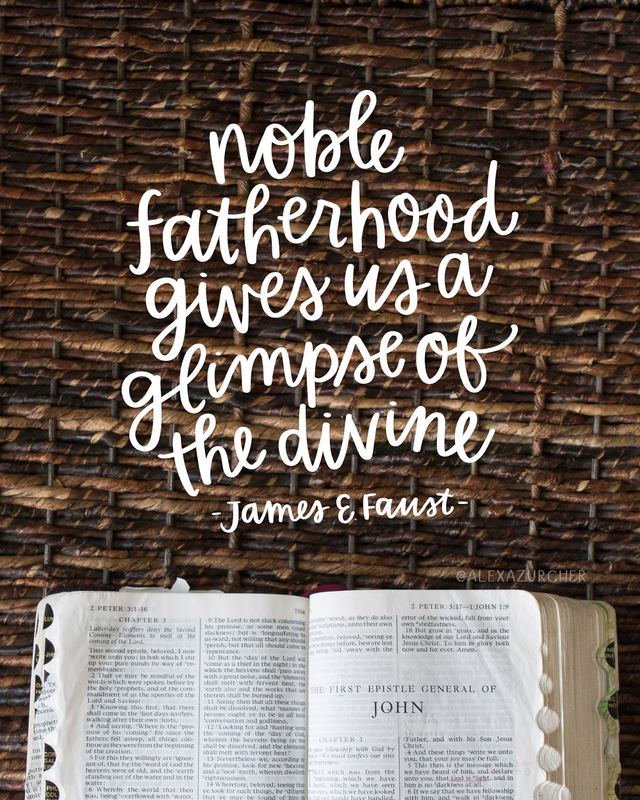 "Noble fatherhood gives us a glimpse of the divine attributes of our Father in Heaven. A father should be many things. He should magnify his priesthood and be an example of righteousness. In companionship with his wife, he should be the source of stability and strength for the whole family. He should be the protector and the provider and the champion of the members of his family. Much of his love for his children should flow from his example of love, concern, and fidelity for their mother. By his uncompromising example he should instill character into his children."